Tommy and Hannah’s session on film was one for the books – we explored Union Station and the Capitol Building and had such a great time! They were the winners of our Portrait Session giveaway in honor of our new website launch last month! Not only did we get to spend time with Hannah and Tommy, but we got to meet their pup Weston! 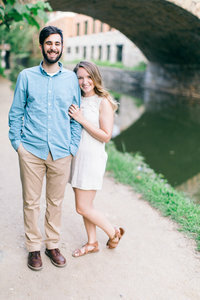 Want to check out other engagement sessions?